Recently, social network SnapChat has been making headlines for all the wrong reasons. Nearly 5-million users’ accounts were compromised and criminals made off with usernames and phone numbers. That has left many to wonder, what does a hacker want with my phone number? Quentin Fottrell of Market Watch set out to answer that question. The most obvious reason why a hacker having your phone number would be a bad thing is the same reason you’re hesitant to give out your number in the real world. They might just use it. 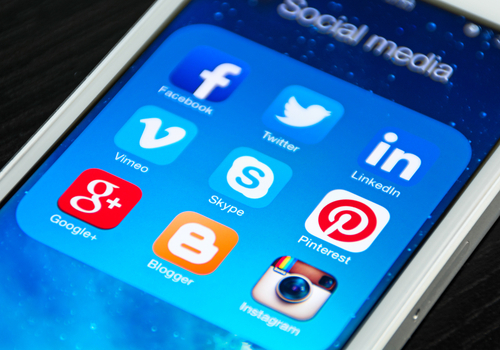 Malware and phishing attacks on smartphones increased steadily throughout 2013. When a criminal learns your phone number, you’re significantly more likely to receive malicious text messages. These can either be an annoyance, or a serious problem based on the type of messages being sent and your reaction to them. Another problem that many users fail to realize is that your phone number is associated with a number of your online accounts. Particularly on social media, knowing a user’s phone number can help you find their profile. Finding their profile allows you to associate their name, birth day and other information to that phone number. Armed with that knowledge, a criminal could easily steal your identity and break into a number of important accounts. Since phone numbers don’t change often, one could argue that they’re more valuable online than even physical addresses and email addresses. This doesn’t mean that you should never give out your phone number to any website. You shouldn’t make it public on any social media profiles, but there are other instances where it actually enhances security. In the case of two-factor authentication, your phone number is used to a second level of security to safeguard important accounts for email and banking sites. 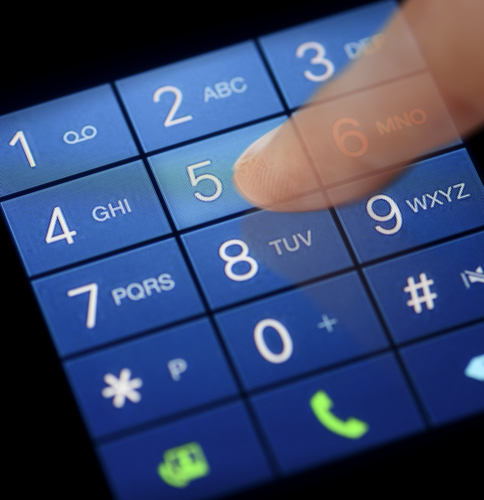 Security experts advise you to feel free to give out your phone number online if it’s for a specific use. Unfortunately for SnapChat users, there’s no way to use the service without giving up your phone number. At Geek Rescue, we specialize in security. 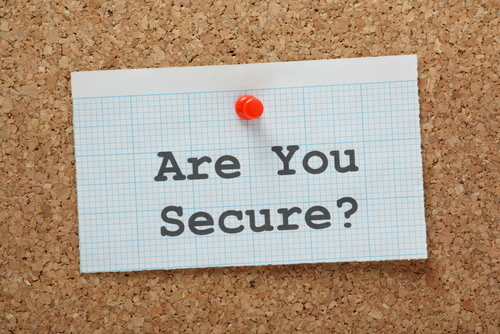 If you’d like to improve the security at home or at the office, give us a call at 918-369-4335. We also fix devices that have been infected by malware. Spam is everywhere online. 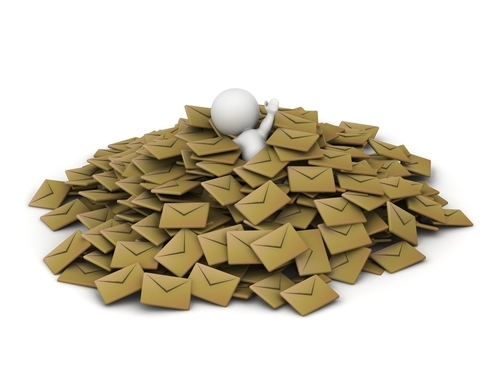 An estimated 14.5-billion messages categorized as spam are sent every day. It’s not just your email inbox that’s being bombarded either. Comment sections, social media and even text messages are also being hit. A post at the All Spammed Up blog writes that we only have ourselves to blame for this barrage of spam. Electronic spam is an umbrella term that refers to any unsolicited, mass message usually used for advertising purposes. It’s the online equivalent of junk mail addressed to ‘Resident’. Recently, it’s also been adapted to spread malware. The reason it exists and is expanding is that it works. Those who are sending out spam messages are finding it to be a worthwhile endeavor and a profitable one. The key to stopping it is for users to get smarter and stop falling for it. Messages pour into your email every day and most of them are caught by a filter and placed in the spam folder. Still, some spam gets through to your inbox. Your phone even receives spam text messages, although not nearly as many as your email sees. The reaction of most people is to delete the obvious spam, but it keeps coming because there are those that don’t. You can’t control what other people do, but you can control how often you give out your contact information. If you want to stop spam from coming to your phone, stop giving out your phone number so indiscriminately. If you want to stop, or at least decrease spam email, be more careful who you give your address to. For any site you feel is questionable, use an alternate email instead of your primary address. Spam on social media is a slightly different animal. The spam often comes from seemingly legitimate accounts of friends that have been hijacked. There are also dedicated phony accounts whose sole purpose is to send out spam and malicious links. Sites like Twitter and Facebook do take down phony accounts when they find them. If users stop clicking on these links, those spam accounts would disappear. To keep accounts from being hijacked, users need to surf safer. Accounts can be hacked in a number of ways, but usually it stems from clicking a bad link or downloading malware. The comment sections of blogs, news sites and social media sites like YouTube and Instagram are often home to spam messages. They’re easy to distinguish from legitimate comments because they usually don’t have anything to do with the page their commenting on and almost always include a link. But, they use social engineering to entice users into following the link. Common tactics are promising high paying, work from home jobs, or cheap electronics. Most users know better, but follow the link to find out for sure whether it’s a legitimate offer. Blog and website owners usually delete these spam comments when they see them, but the spammers often combat this by including a compliment of the site and playing of the owner’s ego. If no one fell for these spam messages, spammers would stop using these tactics, but probably evolve into something else. The keys for avoiding spam is to surf safely, have a trusted spam filter in place on email, resist offers that are too good to be true and generally be wary of links. Geek Rescue offers protection from spam and malicious websites with out Safety Net program. We also clean and fix computers that are infected with malware. Call us at 918-369-4335 or stop by one of our convenient locations today. Spam and other malicious email threats are a steadily growing problem, but some recent headlines suggest that spam email is actually on the decline. In a post on the All Spammed Up blog, the author notes that these headlines are inaccurate due to a flaw in their researching methods. One reports claims that 68-percent of all email traffic in August was unsolicited, or spam, emails. That still looks like a daunting number, but it’s actually a decrease of more than 3-percent from previous months. These numbers aren’t wrong, but they only take into account spam emails that are caught by spam filters. As any experienced email user knows, there are still plenty of other threats that end up in their inbox. In actuality, phishing scams went up by 10-times since August of 2012 and emails containing malicious attachments were 2.5 times higher. These threats are even more dangerous because they’re able to by-pass many spam filters and appear with trusted messages in the inbox. Rather than email becoming safer, the true message is that spam is getting smarter. Hackers study the way typical spam filters work, then design their malicious emails to get around them. This will prompt an update to spam filters, which will be countered by a change in hackers tactics and on and on. The other issue with claims that spam is on the decline is that it ignores spam outside of email. SMS spam sent to users’ smartphones is becoming more of a problem. Spam messages over social media like Facebook and Twitter has been a successful endeavor for hackers and is reportedly up 355-percent in the first half of 2013. These new threats don’t show that email is being forgotten by criminals, but instead shows that email is not the only target. Spam and other malicious attacks are a profitable business so cyber criminals won’t be slowing down their efforts any time soon. For help improving the security on your computer, smartphone, tablet or other device, contact Geek Rescue. 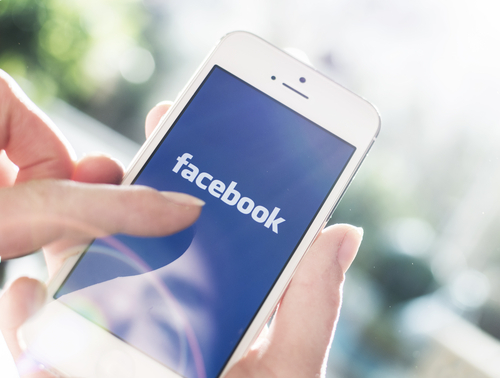 Your Facebook profile is an appealing target for cyber criminals. With access to your profile, they immediately have access to all of your friends also. A hacked Facebook account has led to the hacker asking for money from Facebook friends, posting malicious links on friends’ walls and other suspect behavior. Andy O’Donnell, of About, notes that you’re usually not the first to find out you’ve been hacked. A friend may text you to ask about an odd status update or message. When you try to sign into your account, either you’ll notice that someone else has been posting messages as you, or you’ll be locked out completely. If you believe you’re account has been hacked, follow these steps. Go to facebook.com/hacked, which is the Facebook Account Compromise Reporting page. You’ll be taken to the ‘Identify Your Account’ page where you’ll be asked to enter your email address, phone number, or your name and the name of a Facebook friend. 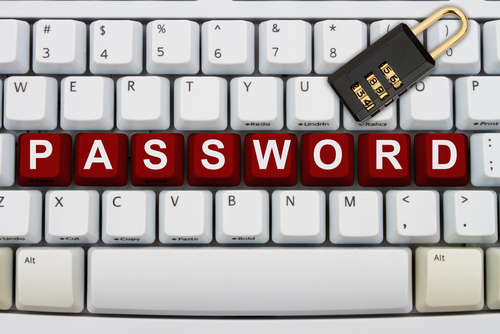 Once you’ve re-gained access to your account, you’ll want to un-do anything that the hacker did. First, change your password. Take this opportunity to make it stronger by using upper and lowercase letters, numbers and symbols. Check your apps page to delete any suspicious apps the hacker may have added. Be sure to tell all of your friends that your account was hacked so they don’t follow any links the hacker may have sent them. After you’ve taken care of any issues on Facebook’s site, take some time to think about how your account was compromised. Malware on your computer can result in hacked accounts, so a full-scan of your hard drive may be in order. 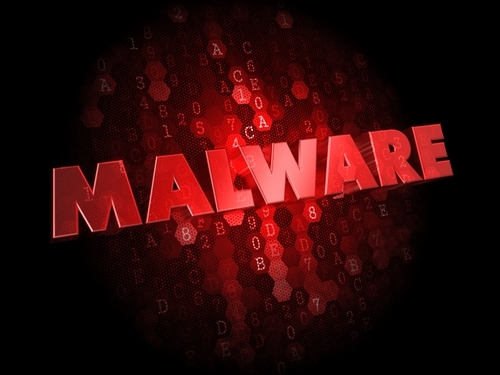 If you believe your computer is infected with malware, call Geek Rescue at 918-369-4335. We remove malicious programs like malware, Trojans and viruses from any device and have security options to help protect you from future attacks. Facebook officially launched Graph Search to all users, which makes it possible to search for, well, anything that’s ever been posted on Facebook. Every comment, status update, check-in, photo and more can be turned up by a simple search. For those who have had a Facebook account for nearly a decade, you might not want people to easily be able to see what your 20 year old self was saying. Ashley Feinberg, of Lifehacker, posted a privacy guide that let’s you lock down your old posts so they’re not available to just anyone. This way, you won’t have to go through and individually select privacy for each and every status update and comment you’ve made on Facebook. Click the ‘Privacy Shortcuts’ icon, which looks like a padlock in front of three lines and is located in the top right corner of any Facebook page. Click the ‘See More Options’ link at the bottom of the drop down menu. Now click ‘Limit Past Posts’, which is found on the far right about half way down. You’ll encounter a warning from Facebook that anyone who isn’t your friend won’t be able to see your old posts. Click ‘Limit Old Posts’. Facebook will again ask you if you’re sure. Click ‘Confirm’. Just like that you’ve made it impossible for strangers to unearth your old Facebook posts. There’s still the problem of friends coming across something embarrassing you may have posted in your younger days. If you’re worried about that possibility, find the specific post by searching for it yourself, or going to the year on your timeline it occurs, if you remember of course. Then you can adjust the privacy settings for that specific post and make it visible to only you. Privacy on any social media platform is important because cyber criminals are able to use personal information against you. What you share on Facebook helps them hack into other online accounts, or target you in a spear phishing scam. Be careful about what you are sharing online. For help improving the security on your computer, or mobile device, contact Geek Rescue at 918-369-4335.